The T18 HMC is an American tier 3 self-propelled gun. The T18 HMC leads to the T82 HMC. Originally part of the American tank destroyer line, the T18 quickly became a favorite, owing to the combination of excellent armor and a powerful gun that could one-shot kill any tank of the same tier or lower. As artillery it can still work well as long as it is top tier, having excellent mobility and relatively strong armor. 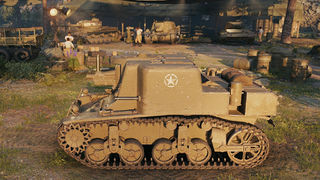 It also has a good rate of fire and relatively good accuracy for its tier, which makes it relatively easy to play for inexperienced artillery players. 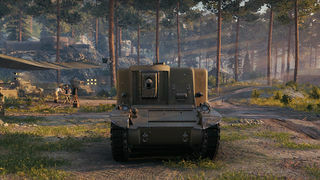 Its main drawback is the very low alpha damage, which renders it largely useless in Tier V games due to its inability to damage heavy tanks (but Tier III's no longer have to face Tier V's). In lower tier games this is not a problem thanks to the lack of heavily armored vehicles. The T18 Howitzer Motor Carriage was an American self-propelled gun. 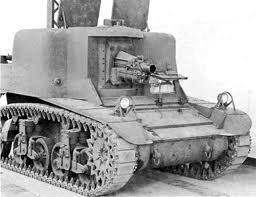 Its development started in September 1941 as a close-support vehicle using the M3 Stuart's chassis. A 75mm howitzer was mounted on the right front of the vehicle. 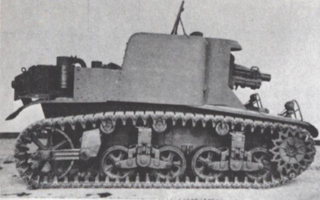 The gun mount was adapted from the M3 Grant. Two prototypes were produced by Firestone and then sent to the Aberdeen Proving Ground. However they were unsatisfactory because of their high superstructure and nose weight. 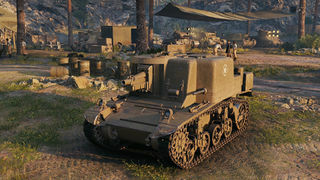 Because the Army disliked the high superstructure and nearly vertical armor, the T18 was abandoned in 1942, and soon started a new turreted project, the T41 75mm HMC, also known as the Howitzer Motor Carriage M8. Later, the prototypes were kept on display in the Aberdeen Proving Ground until they were destroyed in 1947. Chamberlain, Peter; Ellis, Chris (1969). British and American Tanks of WWII. New York, NY: Arco Publishing Inc. ISBN 0-304-35529-1. Hunnicutt, R. P. (1992). Stuart: A History of the American Light Tank. Novato, Calif: Presidio Press. ISBN 0-89141-462-2. Zaloga, Steven J. (1999). M3 and M5 Stuart Light Tank 1940–1945. New Vanguard. Oxford, UK: Osprey Publishing. ISBN 1-85532-911-5. This page was last modified on 25 March 2019, at 18:14.